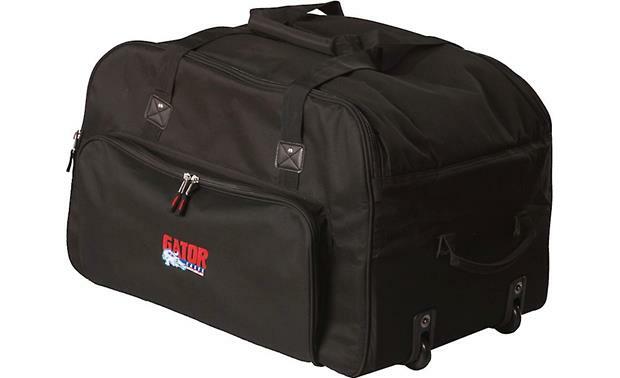 After the show is over, reduce the stress of loading out with the Gator GPA-712LG speaker bag. 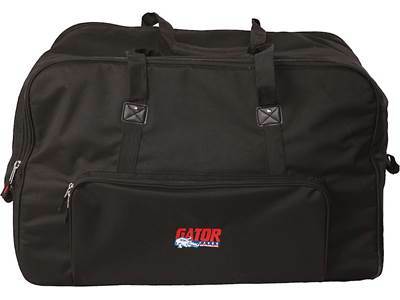 After the show is over, reduce the stress of loading out with the Gator GPA-712LG speaker bag. It's designed to hold most large format 12-inch PA speakers. Dual zippers on top provide a wide opening to fit the speaker inside. 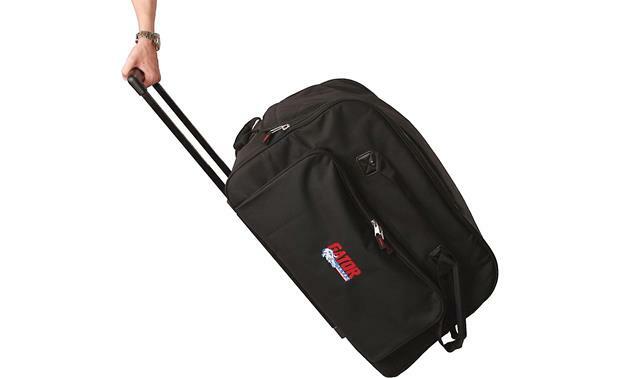 Structured foam and a tough nylon exterior not only protect the speaker, but keep the sides of the bag upright for easier packing and unpacking. Roll your speaker from place to place. Once you're zipped up, conveniently placed wheels and a firm retractable handle make transporting your speaker less of a burden. 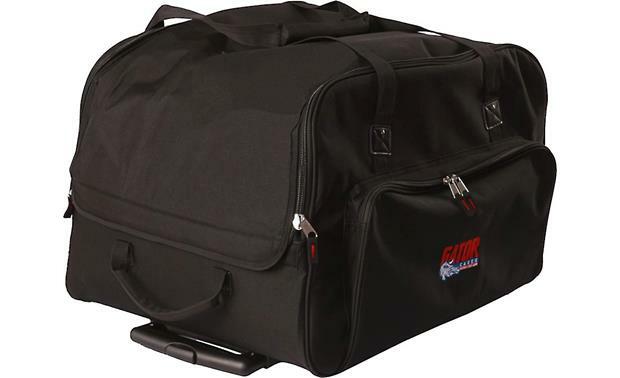 Overview: The GPA712LG is a rolling speaker bag designed for large format 12" loudspeakers. It features rugged nylon construction with 10mm side foam and a structured foam bottom to help protect your speaker. 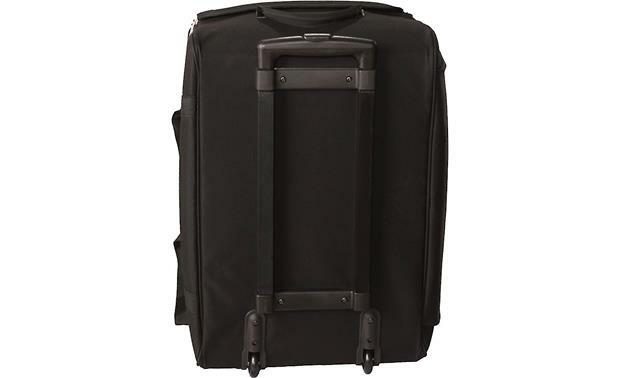 The dual zippered design allows quick access, for loading and unloading, while the rugged pull-out handle and wheels make for safe and easy transportation. 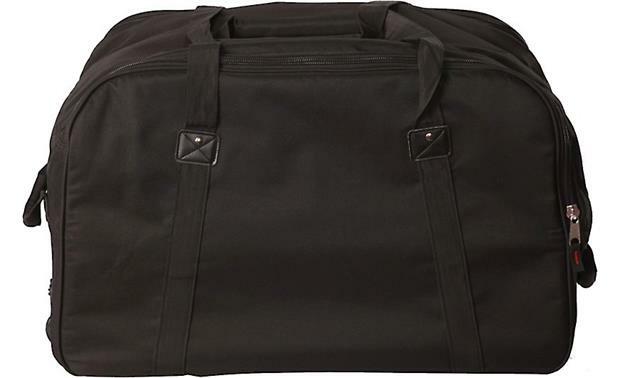 Built-in carry straps allow the GPA712LG to be hand-carried and a large accessory pocket provides extra space for cords, cables and other gear. 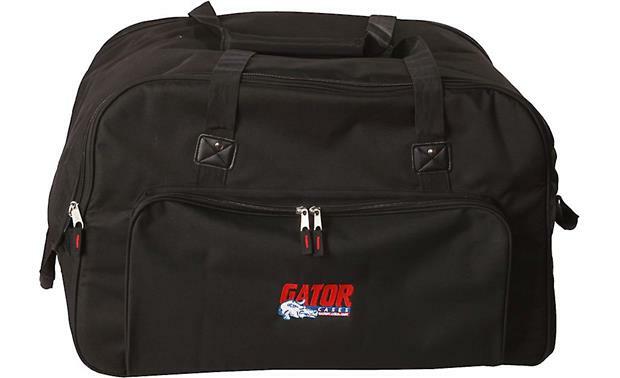 Searches related to the Gator GPA-712LG Rolling speaker bag for large format 12" speakers.